A practical meeting (either in person or digitally) where a group of like-minded people engage in intensive (but fun) discussion, understanding and learning on how to sell, connect, and stand out, through words. Our personalised small business owner workshops are perfect for those powerhouses running their own shop or show, wearing all of the hats when it comes to writing content that makes tidal waves with their customers. 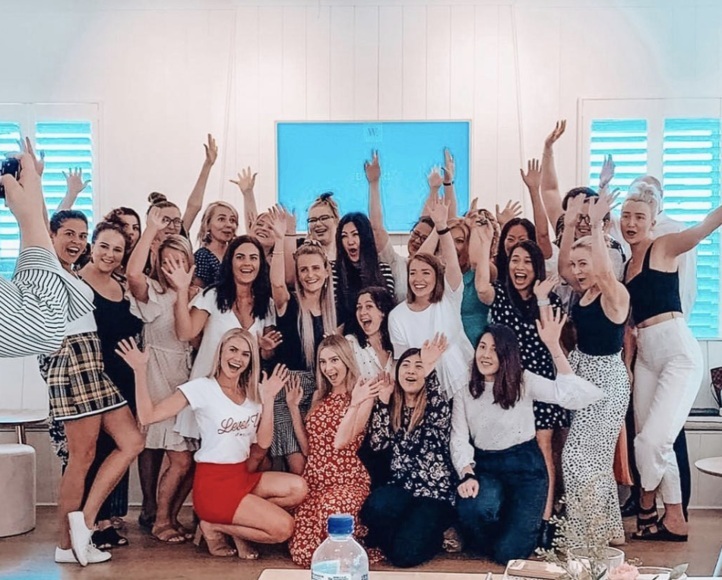 The interactive, friendly workshop setting is a great place to meet like-minded entrepreneurs carving out their own brand narrative, test ideas out with a community of other business brains, and just learn how to write better. Because, we get it. Not everyone is a natural wordsmith. But there are some tips and tricks you can use to help in writing copy that will directly impact sales, conversions and your ability to influence people around you. Own your own business and DIY-ing your own content (but badly? ), an aspiring copywriter wanting to learn how we do it? or responsible for your company’s content, online presence, brand awareness or building genuine engagement? This is for you. In our tight-knit workshops for business owners, we equip you with the tools, strategies and know-how to take everything in your head and turn it into an actionable blueprint to take home and establish straightaway. Whether this is a full content strategy we work through together, or the skeleton for website copy that makes your target audience book, buy or buzz, we’ve worked with hundreds of small businesses to help them find their voice in even the most competitive of markets. Ready to have your consumers, stakeholders, and your audience going from "meh" to "wow"? Underpinned by tried and tested strategies and methodologies we have successfully implemented for a myriad of both small and big organisations, allow us to help and teach your team to create content that will have your organisation not only seen and heard - but talked about. Our custom corporate training workshops are perfect for those who are responsible in writing, creating, or developing content, copy or internal/external communications for their organisation. Whether you are a subject matter expert required to write content as part of their role, a staff member wishing to learn how to communicate better through words, or part of an internal marketing, PR, or communications team needing to find cohesion in their brand voice - we tailor Corporate Workshops specifically to your organisation's goals, and needs. Ain't no cookie-cutter approach found here. Note: There is a minimum human attendee # applicable. Want to be the first to know as soon as new Workshop dates launch? Leave your name and your digital address below.